We all use smartphone today for our day to day use. Many people prefer to use stylus for their devices. 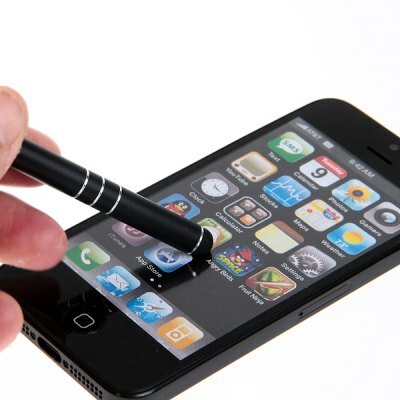 Even many smartphone companies are providing stylus with their smartphone for user comfort. And those who do not get stylus for their devices they can buy it separately. Those who want stylus for different purpose or in different color or want to have few extra, there are many type of stylus available in the market to choose from. Now you must be thinking why do I need stylus? Here are some answer for this question. Weather element: In winter you’re fingers get cold and you cannot operate your phone much time wearing hand gloves on it. While in summer you might get so much sweat that you don’t want your smartphone affected by that. You can use stylus in both the cases to get your work done. Signature: When you order something from e-commerce site, delivery boy will give you his smartphone or other device to put your signature on. For that you cannot use your figures much you have to rely on stylus. Protect Screen: Sometime our hands get sticky and we do not want our smartphone screen to get sticky too. So in that case you can use stylus. Device independent: There are many Stylus available in the market that are devices independent. You can use it with any device whether it is an apple iPhone 6S Stylus or Android smartphone. Multipurpose: Some stylus comes with different features. For writing software one must need ball-pen stylus, for day to day simple usage one can user normal stylus, some stylus are multipurpose (Have laser pointer, ball pen and LED light all in one) so on and so forth. If you want to buy stylus that is device independent with high quality and cheap price you can buy them from here. They are available in many colors and many style with different features. Gear Best is the only site that provide quality product at reasonable low rate.